I have always been irritated by hovering, competitive parents who scream at their children during sports events. My son has started BMX bike racing and he loves it. I was at the track watching him the other night and I saw a dad stand up and literally yell down on his son to pass another child. These boys were probably six or seven years old. The turns on the track are banked really high because the kids get going very fast. Passing somebody on the turn is a little tricky because you will literally be right below or above them going full speed, and sometimes gravity works better than your bike. His son listened to him and tried to pass the other boy and they had a great big wreck with both boys on the ground. I was so mad. If I had been next to that man I probably would have opened up my mouth and told him what I thought. Do you want to know what I thought? Beware, I can be nasty. "What an A@@##LE! I can't believe that man just endangered children so that he could MAKE his son win a friendly practice race!!!! What kind of person does that?!" I of course had never met the man but I was pretty sure from this brief six seconds of watching him that he was a total waste of space. A few minutes later my son falls off his bike on one of the hills. I was on the other side of the track and since I had my two little ones with me I could not go to help him. There were just too many other riders and I did not want my girls to get hurt. I was watching my son from a distance struggle to get back on his bike on this hill and guess what, only one person helped him. You got it, the man who I was silently cursing literally ran across the track to get my boy back on his bike and going again. I was so grateful and of course totally humbled. Here I was thinking that this putz had no right to take up space on the planet and he is the only person to be there for my son when I can't be. Later on I heard him apologizing to the father of the other child who was in the wreck with his son because he felt like his yelling had caused the accident. "My labor was longer than that and I didn't get an epidural." "So you are too small to have your babies vaginally....hmmm." "You did not need that c-section!" "You couldn't breastfeed?! Because your 'breasts don't work.' Who told you that?!" "How would you like it if somebody cut off the tip of your finger while you screamed?" Hopefully you are all better and less judgmental people than me, but on the off chance that you can see yourself in the above, I will continue. 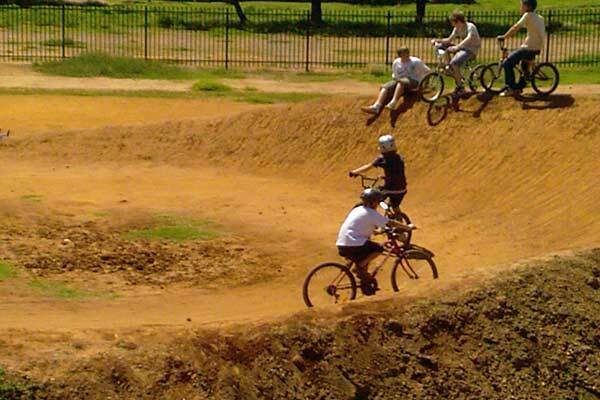 This little episode at the BMX track really made me think about the way I jump to conclusions about people. I was convinced that I was absolutely RIGHT. Still, I probably would not ever yell at my child to crush somebody in a competition. However, just because my weaknesses are different than this other guy's, does not mean he is the devil and I am the best. It showed me that there is often more to people than we can see at first glance. It was also a reminder of how glad I am on the rare occasion when I manage to keep my mouth shut when my head is telling me to show somebody how wrong they are. I might be right about birth, breastfeeding, circumcision, and all of that. That does not however mean that I have any idea why other people make the choices they do. It also does not mean that they are not trying. Nor am I better at everything than they are. Maybe X comes easy to me. Or maybe I am good at sticking with things. Obviously I have flaws that are other peoples strengths. I have seen women that I genuinely had a hard time being friends with because their parenting and birth choices were so counter to everything that I believe. I have also seen these same women have a seemingly easy time being a wonderful organized mother or a fantastic caring and sensitive wife, things that I struggle with daily. I know, deep thoughts at the dirt track tonight. I am humbled to realize how often I have to learn the same lessons. Namely, 1) don't judge, especially when you 2) don't know enough to judge, and 3) you never know enough to judge. We help more women when we reach out with love rather than judgment and distaste. We show peaceful, loving parenting by being that kind of person. We change hearts and minds when we share our experiences without discounting those of others. Things can change, but it will start with us. The spread of feminine wisdom that has been lost will change the world. But we must remember our own imperfections while we teach. Well said! I try to not judge but sometimes it's so hard. I just don't say anything and I pass along great blogs like yours! Very nice. I find myself in that kind of mindset pretty often, especially regarding circumcision and home birth. At the same time I am the one making excuses for people to my husband all the time. If someone was driving too fast and passes us I tell him, "maybe they had an emergency." I do my best, that's all I can really say. I'm not good at talking one on one with people (I'm one of those who thinks of the perfect thing an hour later and regrets the conversation forever) but I compensate by writing my thoughts in my blog for future reference. Don't worry too much about the judging, we are a judging kind (see article of mine today http://www.authenticparenting.info/2010/09/judgement-and-mankind.html), just keep your judgement open for revision and you're doing a heck of a better job than most of us. Beautifully stated! I would say that I have made the judgements... and I have also been the one judged I am sure, with two C-sections under my belt. It never hurts to have a gentle reminder like this one. Thank you. great posts! It's amazing what you can learn in the stands. I just loved this post, great job Sarah! Too many women are made to feel like FAILURES at birth for choices that are not always within their control. I am grateful I was mentally prepared for the possibility by my doctor. The MOST important thing was and is the healthy birth of my beautiful children. I recently hear a cool quote "if you judge someone, you don't have enough time to love them". This is so true. Thanks for this post. go ahead and be judgmental, I wont judge you for it. :) I have far to much judging of my self to do. out of 4 kids, I had epidurals with 2 of them, I breast fed 3 of them for almost 2 years and one for only 5 months. I want to be perfect I just couldn't be at the time. I hear what you are saying. My childhood BFF had a baby about 3 weeks before I had my first child and because I was clueless about parenting I remained her friend for about a week after my son was born, got a clue, and couldn't stand being around her. Dont get me wrong I love her but I couldn't stand to be around her because she was so "bad" with her kids. 10 years later and each of us have 3 more kids and I realized all I did was lose a good friend. She wasn't parenting my kids, and I wasn't going to be held responsible for hers. I apologized to her about a year ago and her response was simply, "who I am now could never be friends with who I was then"
I had an epidural with both. The second was a last ditch effort to save myself from a C-section I knew I somehow could have gotten out of (I was pre-e and my blood pressure would NOT go down, so the dr was talking a c-section, that was NOT happening.) It's easy to judge when you don't know all the details, but it is also a wonderful learning experience when you realize you do it. I think those things in my head a lot, but lately have become a lot less judgmental about people because I myself don't want to be judged. I also see so much hate spewing forth from people who are passionate about the natural parenting stuff, and that is not going to turn anyone on to why we do what we do.